Southern Cone Travel: Ice, or Ice Cream? Or Both? Ice, or Ice Cream? Or Both? Almost everyone who visits Patagonia looks forward to seeing the great glaciers of Chile’s Fuegian fjords or the massive southern icefields that culminate in Argentina’s Moreno Glacier (pictured below). There are other cool treats that await visitors, though - on their palates, in the form of ice cream (or gelato, if you prefer). 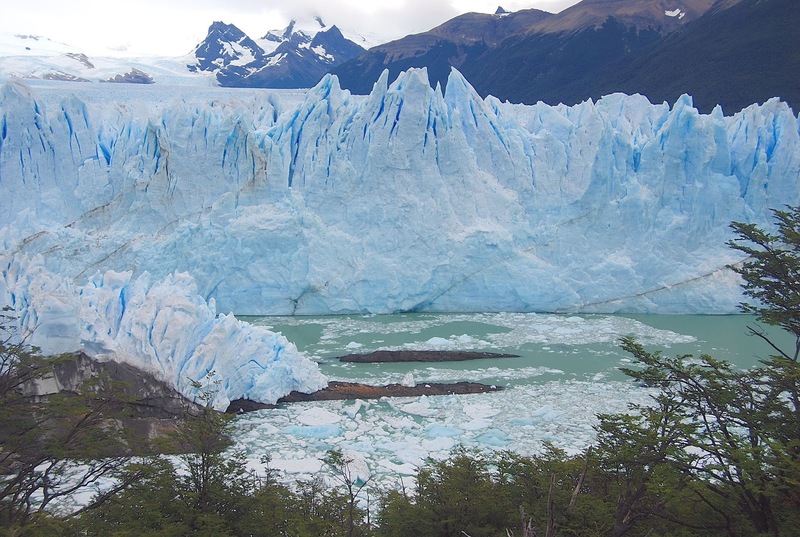 Some of it is found in Patagonia itself, but it’s also popular in gateway cities like Buenos Aires. Most but not all of those treats are from Argentina, stemming from the Italian tradition that has spread throughout the country. I’d like to recommend a sample of ice creameries and flavors, though I’ll acknowledge a personal prejudice at the beginning: I do not share the adoration for dulce de leche, made from caramelized milk (which Chileans call manjar) that all Argentines and many Chileans drool over. Personally, I find it sickly sweet and, if you choose to try it, don’t say I didn’t warn you. I will not mention it further. 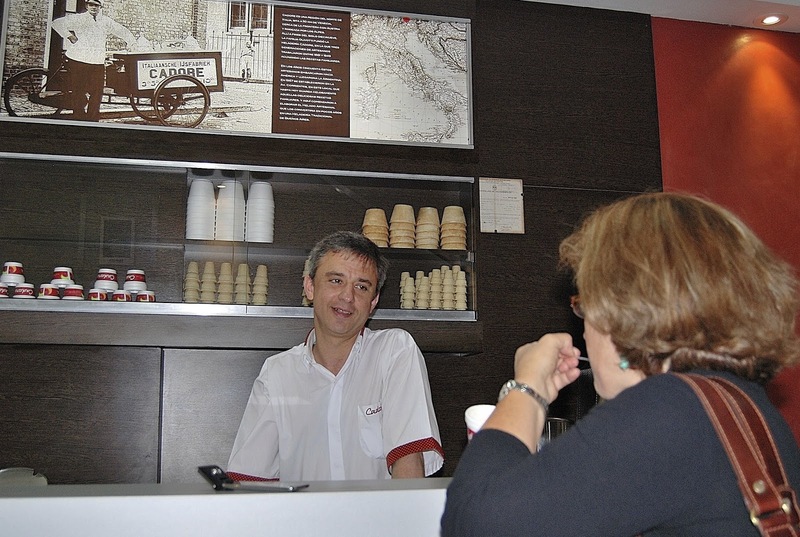 For more than three decades, my personal favorite has been Cadore (pictured above) in the Congreso district of downtown Buenos Aires (one of the gateway cities for many a Patagonia itinerary). In the same family since it opened in the 1950s. it’s won awards in Italy itself. The roster of flavors may be less diverse than some more contemporary heladerías, but the quality is extraordinary. My recommendations: chocolate amargo (bittersweet chocolate) and mousse de limón (lemon mousse) are an unbeatable combination. 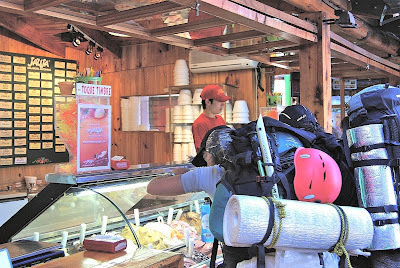 In northern Argentine Patagonia, at the base of the Andes, the town of El Bolsón is the cradle of Helados Jauja (pictured above), which produces many standard flavors but specializes in local fruit flavors, among them the wild calafate berry (according to legend, whoever eats the berry will come back to Patagonia for more). In recent years, this one-of-a-kind ice creamery has opened branches in Buenos Aires and elsewhere, but still produces everything at its home base. My recommendation: calafate con leche de oveja (calafate berries with sheep’s milk) and mate cocido con tres de azúcar (Argentines’ favorite infusion, roughly comparable to green tea, is also popular in parts of Chile). 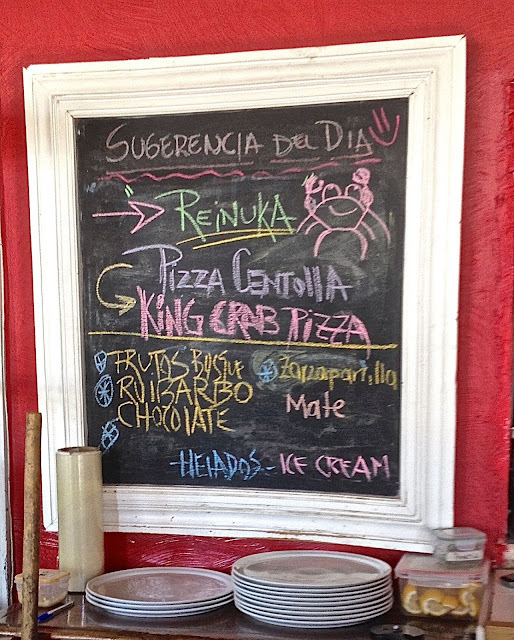 Meanwhile, in the Chilean ferry port of Puerto Natales – the gateway to Torres del Paine – Mesita Grande (pictured above) is a pizzeria that takes its name from the single long table that its diners necessarily share. That said, it prepares its own ice cream and, when I offhandedly mentioned Jauja’s calafate flavor, Mesita’s Argentine manager went out of her way to track down berries and sheep’s milk to try to duplicate it. A couple days later, she phoned me to come try it, and the result was a promising experiment that’s not on the regular menu. Still, in its absence, here are my recommendations: chocolate and ruibarbo (rhubarb). 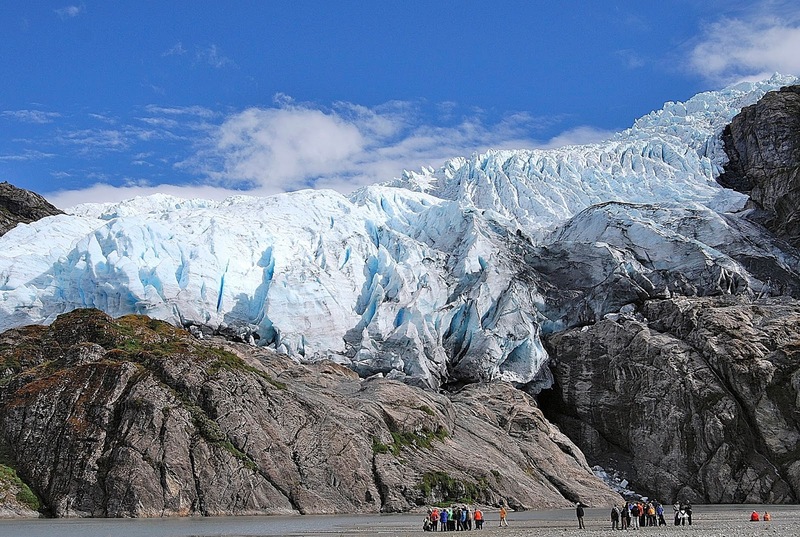 There’s also a branch in Punta Arenas, the gateway to the glacial fjords of Tierra del Fuego (pictured below).